Think back to the last good book you read. Did you visit a new place? Meet new people? Learn a new language? Below is a full transcript of the episode. Katie: For me what motivated me to write this is because as a child and what I write about is what it was like growing up as a child of a single parent and really struggling financially and how that affected me in terms of my place in the world and understanding myself and understanding others. I didn't see kids in books that were like me and so I really didn't connect as much with reading. And it reminds me of what Walter Dean Myers writes in his piece for the New York Times, "Where are the people of color in children's literature?" And he talks about how as a kid it was hard for him to connect with reading because he didn't see characters like himself. And it wasn't until he read James Baldwin's Sonny's Blues he realized that his people and his community in Harlem were being represented and so that's what inspired him to write his "landscape." All that to say I think for me and for us, we talk a lot about the role of having inclusive literature where all people, all ways of being, all identities are represented is really important because that's what will help motivate and engage readers and help them just understand themselves and their place in the world around them. Lester: For me I think this whole project began at a writing retreat. Several years ago I lived in Beaufort, South Carolina in the low country and would host a writing retreat for four of us together and Katie was in that group. We just designated a weekend and spent time reading together and Katie was working on an article that was playing off reading Sims Bishop's work with Windows, Mirrors and Doors which was work that I was familiar with and we started just talking about some issues she was working through in the article. And the more we talked, we just sort of mushroomed this article into a book. She said, "Do you want to work on this with me," and it's like, "Yeah. Absolutely." And when we did that piece in the introduction and actually that was, we wrote the introduction well into the manuscript. We had an introductory piece but as the book evolved, Holly asked us if we were willing to share our personal connection to this piece and we drafted those little biographical pieces and in similar ways, that invisible identity piece. I come from a different generation than Katie. I'm 20 years older than her. I grew up in the rural south, in the middle of Jim Crow and I'm white and a male. It gives me privilege. But I was also a gay child and knew it but there was no conduit for that. There was no place for you to embrace who you were or even admit who you were. And so my life was spent trying to deny it or hide it or in places even being repulsed by it because it was a piece of you that you were taught was not appropriate and there was no place for it. I didn't even look to books to try to find me because the piece of me that was the core of who I am was something that I didn't expect to see anyplace in the world. Because as far as what I was taught, that part of me had no right in the world so literature couldn't be my conduit. Now if I had been born a child in this generation, there's plenty of literature that validates the fact that who I am is a natural part of humanity and I might have been a different person at that place. We had this sort of drive between us that the whole concept of diverse books is more than just seeing your face in a book. That we need to push toward the notion that we recognize our humanity in other characters whether they look like us or not. And clearly we need more books where children recognize their faces. That needs to be the front port that says, "Come into literature." But once you step across the threshold and move into the house of story, then you've got to be able to resonate with everything that's in there. Part of our push is to have children recognize that even if someone doesn't look like you, their core of humanity is there and that that humanity is present in all of us. In previous work that I've done, Bullying Hurts, the focus of that book was to begin with the concept that everything that makes you human is present in every other human on the globe. And then to push to the place where inside the human family there are natural differences and those differences are only an issue when we assign positive or negative value to them. If we can simply wrap our head around the notion that difference is what makes humanity interesting and allows us to have variety and offer options across the globe, it's when we understand and embrace that notion that our humanity elevates. And so this was just an opportunity to extend that kind of thinking and Katie's work and her dissertation and her new energy and the 20 year difference brings a new fresh view to something that gives this a new take. And it just made it an exciting project to work on. Brett: You talked about the mirrors, windows, doors, work and bridges as well and all of that is an important part of the introduction of your book. You focus a lot of time on leading us through that work. Why is that so crucial? How does that set up the framework of the rest of the work that you do in the book? Lester: Well, if you go back to Rudine's work, the idea of the mirror is to recognize yourself. To let literature be something that allows you to see a reflection of who you are so that that validates your existence. If there are no people like you in the books you're given to read in school or find in the library, then in some ways there's a subliminal message to you that you don't exist. That your presence is not valued in the dominant culture. We need to be able to see reflections of ourselves inside what we read and what's made available to us by the powers that run school. If you have the teacher, the principal, librarian handing you material that you're not represented in, you get the message that who you are is not important. The windows of that is to look at literature as a vehicle that allows you to see beyond yourself. To be recognizing that what you have known your whole life is not the whole world and that what your culture has shown you of how the world works is a limited perspective no matter who you are, no matter what stance you come from, no matter how much privilege have or don't have. There is a bigger universe than what you know. And literature offers you the opportunity to recognize that you fit into a very broad spectrum of things and it allows you the opportunity to stand and look at it and make a decision as to whether or not you cross the threshold and try something different, you step into a new way of thinking, you broaden your friendship circle, you explore new concepts and ideas. The doorways offer you opportunities to step into something bigger and beyond yourself. And so for us it gave us a framework to look at approaching sets of books that allowed children to extend what they already knew and what they brought and knowing that inside a classroom there's already a diverse population. Even if this room is all boys or this room is all white or this room is all African American, even in what looks like a homogeneous grouping there is diversity. And the more we explore that, the more we recognize our common similarities as humans. Katie: I would add too that I think one of our goals was to really help teachers expand their repertoires of children's literature. Beyond that traditional canon of books and returning to our favorites time and time again. When of course there's nothing wrong with that but a lot of times when I'm out in schools and doing workshops with teachers they're so excited about all the different books I bring and say, "Where did you find those? I don't know about these books." And so we really wanted to be able to provide teachers with a collection of books that represent so many different voices and authentic stories so that it will be mirrors and windows for the children in classrooms everywhere. But also to move beyond just providing teachers with a list of books but to help give them this framework to move through the books. To help facilitate conversations that help the children think deeply about the big ideas. To move them into spaces where they're comfortable having these discussions about who they are, what their stories are, and creating spaces for other voices and stories with those windows are really important. We want to help provide teachers with a framework to do some of this work because we recognize that some of these topics maybe new or unfamiliar or maybe even uncomfortable to talk about and I think that's really important that we help each other and support each other move through some of these big ideas. And that framework helps us do that. When we think about who are the children in your classroom? The kids in my classroom in upstate New York might be very different than the kids in my classroom in Charlotte, North Carolina. And so I want to make sure that I'm intentionally selecting books that tell their stories. And so I think it's important that we move beyond canned lists of books and really be reflective about who we are, who our kids are, listen to their voices, let the children bring in book suggestions as well and move to the space where we can have some really deep and important conversations around our stories and the stories of the characters in the books to create empathy really for one another. I think that's needed. This idea of we want to create bridges and connections we build up against one another. Brett: In the book you take us into the classrooms that you've been doing this work in. How have you seen the impact of your work take effect in both the students and the teachers? Katie: I would love to share about one of the teachers actually that we feature in the video footage. She's a fifth grade teacher. We had some conversations about how she could use this framework and select literature to align with a particular unit that they were working on. In this case, she teaches at a predominantly Islamic school. It was really important for her to select text that represented her children. Actually, the participated in the Global Read Aloud, which at that time was the book, A Long Walk to Water, which is a story about a refugee in south Sudan. So they were talking about refugees, and for these children it was really important for them to read these stories about refugees from different parts of the world and different stories during the Holocaust, for instance. So understanding what this means across time. What this teacher did was very intentionally select text to align with her social studies unit, but with her students in mind as she's making these decisions all the way along. Then, designed reading and writing lessons, research lessons, technology integration all around this so that the students moved from this collection of text to reading informational text related to the content, doing research based on topics that they were interested in within this big idea of crossing borders. Ultimately moving to the writing process approach to teach others about what they've learned and created infographics. The last stage of our framework is action, and I think is such an important part of it because we want kids to move beyond the reading experience to do something. In this case, they decided to take action to do something to help refugees. They designed an entire week focused on a Refugee Awareness Week, which culminated in a Refugee Walk in the community, and they raised over $3,000.00 for an organization. So all that to say how it impacted the teachers and the students, the kids are still coming back to the teacher. They're now in middle school, because they were in fifth grade last year. They are coming back to the teacher saying, "Okay, so what can we do this year? Can we come back to the elementary school and do some more of that type of work?" The teacher this year, with her fifth graders, has extended this framework to a new unit with environmental studies, so bringing it into her science and all integrated seamlessly. The students are starting with a novel, Hoot, and lots of informational articles and other books that align, moving them toward this action piece where they're going to do an environmental survey of the school and do research about what can be done to help improve the area around the school. This teacher has been transformed to think about teaching in a new way, to think about how do I select text that really aligns with who my students are, what we're learning about, and how can I move them towards reading and writing, and listening, and speaking, and using their voice, and putting the power in their hands to do something as a result of all of these reading and writing experiences. The kids are transformed. The teacher is transformed, because she just has a whole new look on the way she teaches and the way that the kids are learning. I think that's been a really neat example that you can read about in the book, and then watch some of the video footage that goes with it. 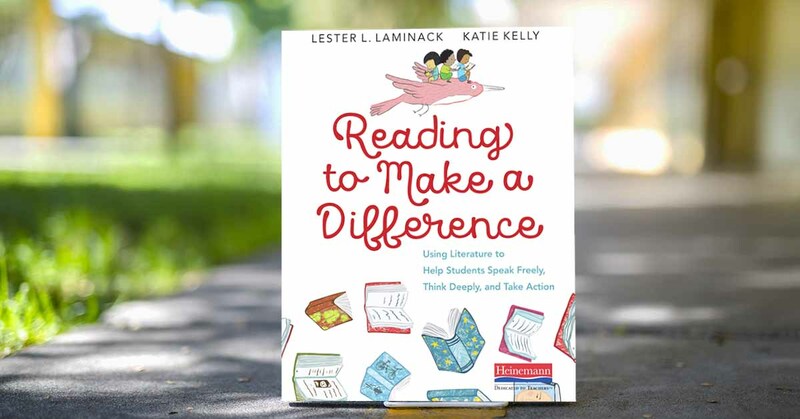 Lester: So if you look at the book, we identify several issues, topics, and then we offer a suggested list of books that you would move through, moving from a more simple text to a more complex text, getting kids an opportunity to develop a conceptual framework for the idea. Knowing that issue, move through this text and you will become acquainted with the idea, and see yourself in some pieces of it, maybe not in others. Then the next more complex text will kind of broaden that view, open the window a bit for you to see something. Once you look through that window and you see something beyond what you know already, and you become conscious of an issue that you feel is not quite right is the most common thing that children say is, "That's not fair." It's that recognition of inequity that places you in a position where now you hold knowledge that you didn't hold before. What we're trying to lead children and teachers toward is once you gain knowledge, you have a moral obligation to do something. That leaves you with a decision, "Do I simply know and do nothing, and carry on as before?" Which is an option. "Do I know and tell others, and hope that I spark change? Or is there something I can do personally-" which I would look at as a "me compass", "Or is there something we can do collectively that I would look at as a "we compass" so that moral compass is either going to be individual or collective. Having those conversations with teachers, and where a teacher basically doesn't tell them, "Let's do something to change this," but simply says, "If you think it's unfair, what can we do? Is there anything you can do to make it better? Could we do something? Maybe the school? Could you get someone involved?" It's an issue of simply posing the question to create a scaffold for the children to walk out on, and take a risk that perhaps they wouldn't have taken if their literature hadn't taken them there. Within those issues with the text, there is not an issue of moving through the text and choosing topic, topic, topic, topic. Rather, it's an issue of moving through those to become acquainted with the process of selecting books that work for a certain issue that you want to teach. Scaffolding those books so that you move kids through the more complex thinking, and then setting them up so that they reach a point that they feel compelled to do something and to recognize that although we are small we can do something about this. It may be something small and simple, but there is this sense of self, this sense of completion when you do something with this new knowledge. Our intention with taking you through that process is to change the way you think about books. It's like a little paradigm shift. 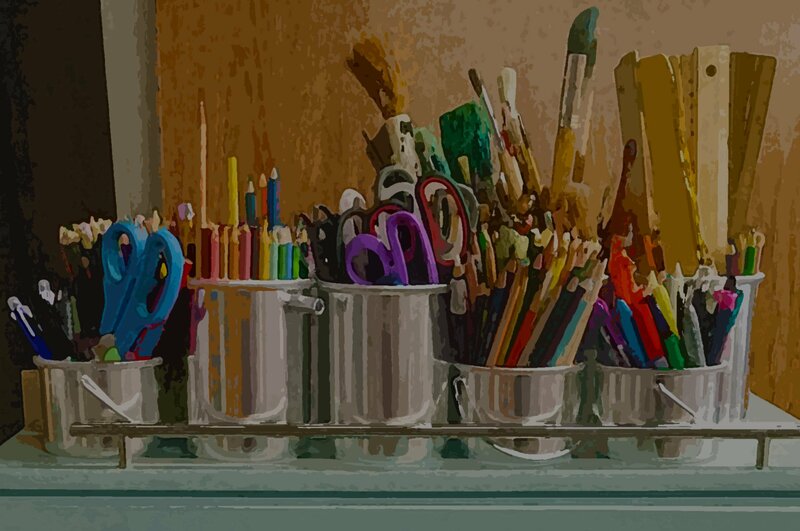 So that now you look in anything you need to teach, and you have this framework in your mind, you have this notion of collecting text and moving your kids toward it. That will change the way teachers look at the potential for it, and it will also lead children to this notion that, "When I read, I need to think about how am I different now that we've read this book? And with that new knowledge, does it change the way I behave? Does it change the way I think? Does it change the way I interact with other humans? What do I do with this difference as an experience from having read that text?" Brett: You know, in the book you say, "School is where children first encounter what is beyond their sense of normal and that they often look for the familiar." Why is that? Lester: When children come to school, what they bring them, and I'm thinking of kids in preschool, kindergarten, first grade, whatever your entry point is into the institution of school, you're coming out of a closed network: your family, your extended family, your preschool. What you know is pretty much provincial. When you step into school, you are suddenly integrated into a group of people who will have some overlap with your experiences, and some differences with your experiences. So suddenly, you're exposed to things you never knew existed. Like, "You don't eat cereal for breakfast? Oh my God, everybody eats cereal for breakfast," because that's all I know breakfast to be. So the idea that you might eat eggs, and bacon, and biscuits and gravy, that you have that for breakfast, is something that confronts your sense of normal that makes you go, "Wait a second, breakfast is more than this?" And that's a very simple kind of level. When you walk into a new situation, you look for what is familiar because it gives you a sense of normalcy, it gives you a sense of comfort, it lets you kind of feel where you fit in. But children are confronted with all this variation and so one of the things we're looking at is so how do you help kids figure out how we're alike and how we're different, and how we celebrate the difference while recognizing the similarity, which comes back to the work we did in Bullying Hurts and extends that thinking to a new level. Katie: I think the word "normal" is very dangerous. I think that's kind of the idea of the windows, is that windows will help us to disrupt this idea of normalcy and to move beyond what's familiar. That's really important. In particular, I believe in this climate today where we're seeing big divisive ideas and views since it's important that we expand our idea of what is normal because I don't know if there is such a thing, to be quite honest. I think that the books really allow children to expand their understanding. The books are really just this conduit. It's just a starting point, or a springboard, because it's really our responsibility as educators to facilitate these conversations and to create these safe spaces where children can talk about these types of things. You used the breakfast example, and I'm thinking of a couple of great books like The Sandwich Swap. I can't help it, I always go back to the books, where a child has something different for lunch. I think the child's eating hummus, and let's be honest, this is a reality. Some kids is like, "Ew, you're eating such and such." Let's talk about that. Let's embrace our differences. Let's actually have everybody try hummus. So I think creating those spaces in the classrooms where we can begin to disrupt this idea of what is normal is part of where we are going with the work in this book. Brett: Let's go back to the videos because I don't think we've talked enough about that. You've got a lot of great videos that accompany this book. Tell us a little bit about what surprised you in that work. Lester: The videos are allowing us to go in their window. They're a way for you to peek into a classroom and see how this looks in practice. Because it is a video, and because this process takes place across a long period of time, this is not a one and done kind of thing, you're only seeing a snippet of something. You're seeing one piece of that process, so you may be seeing children interact. You maybe see kids at the beginning of this process. You may see something that's culminating an event. It allows you to take a look at what the teachers are doing, what the kids are doing, how the literature is impacting that, how the conversations go, how teachers scaffold for it, what children do away from the teachers when they're working independently or in small groups. It gives you a way to look at the thinking in practice. What surprised us was how brilliant the kids are. I think it was amazing to watch the insights that children had that even though they're very small, the idea that if you take this slow and peel back layers at a time that the kids actually wrap their heads around it, and the empathy that they're bring, they're still young enough that they're completely in touch with their humanity and they're not so jaded yet as adults get, that they let their biases or the biases of the world kind of overshadow their common humanity. What they go to is this notion of the core of kindness of, "We have to fix this." There is this drive in children, "We have to fix this. We have to make this right," and we can make this right where adults tend to say, "Well you know, that's more than we can manage. That's something that we can't do." How many adults go, "My vote doesn't count." A child believes, "My wish counts. My words count. My action counts." I think what maybe doesn't surprise us, but it delights us, is that they are so present in doing that work. Katie: I think of Linda Sue Park's TED Talk, Can a Children's Book Change the World?, and her response to that is she says, "The book itself doesn't change the world, but the child who reads the book can." I think that's what we see a lot with the kids and the classrooms that we're in, that they have this motivation and this drive. They're inspired from the reading and the discussions around the reading, that they do want to go out there and make a difference in their lives and the lives of their peers in the community in which they live, and in the country and in the world. I think that that's really exciting. One of the things that I think is really nice about this book and the video package is, speaking from a teacher lens, myself as a teacher, oftentimes, we are in our little isolated silos in our classrooms, and it's really hard for us to get out and go into the classroom next door or the classroom across the hall. I know one of the things I love doing is talking to my colleagues about how they're teaching and what text they're using, and very rarely have the opportunity to see what that looks like in action. One of the things that we decided to do with this book is to really highlight classroom examples in each chapter, to walk the reader through what that might look like. Of course, that's just that teacher's classroom, but the reader can take these ideas and make it work for their own demographics and their own units, and select the texts that they think would be best. But with having those classroom examples there, it really gives the reader a window into what's possible, and I think that's another nice piece that the video package offers, as well. Lester: We do have, for each issue, for each topic, there is a featured teacher. Then we offer some little examples, some more tight examples, not fleshed out whole look at it, to see what that might look like in another grade level. Because we wanted to avoid the possibility that a second grade teacher would read the book and look at a fifth grade example and go, "Well, of course her kids can do that kind of thinking, because they're in the fifth grade." If we had a fifth grade as the lead example, then we might have a primary example that's supporting that one but isn't as fleshed out, just to kind of indicate that this can still happen, it might just look a little different or be a little less complex. Brett: How would you like educators to use the book? Lester: I would hope that what teachers would do with the text is to read it all the way through, and kind of get a feel for the scope of what this can look like. Then, either choose one of the topics that we include in the text, and run with the set of books that we line out, and try it. Or, simply step back from reading the whole text and walk away with that framework in their head, and choose a topic that they are passionate about. Select the text and move through it on their own. But what we're hoping, is that it opens up windows that allow them to look at approaching curriculum in a different way, the use of children's literature in a different way, and that it opens the door and invites them to step through. We're not wanting them to look at it as a prescriptive approach. We're not saying you need to follow this in a linear, lock-step way, because there's nothing about anything either of us does that fits this kind of thinking. We're not wanting you to look at this as a set of options, and then to decide for yourself what works in the context that you are in, with the library that you have access to, and the teaching that you're comfortable with. What next step can you take? It might take several rounds of that for you to move full fledged into what the examples are in the text. But whatever small step you're willing to take, I'm hoping this leads you toward that. Katie: I would add that I would encourage the reader to start with the introduction, because I think that that introduction is really the core, the rationale for why we think this work is important. I think before we ... And I know Lester says this a lot as well, but before we ever get into the what of what we're doing and the how of doing that, we really need to make sure that we understand the why. And so, I would encourage the readers to start with that introduction. We also purposely put that identity chapter right up front, because we also believe that it's important to understand who we are, and we write that in the book as well, as the authors. But we encourage the teachers to go through some of the exercises that we provide in the book, before they do this work with their children, to explore their own identity, for instance, with that chapter, and open themselves up as a human being with the students in their classroom as well, to help create that safe community space. Whatever order they want to read the chapters, I think they have to do what's best for them, but I would encourage them to actually try out some of the activities, to really engage in the material in each chapter. Lester: I don't think you can ask your kids to be vulnerable if you're not willing to be. I think it's an arrogant stance to ask your children to do anything you're not willing to do in their presence. Write, do long division, make a hypothesis in science, or to share your inner thoughts, to confront your own biases, to take a step to help someone. This is not a do-as-I-say kind of model. This is, we're doing this together. We're reading these books and we're having these conversations, and you should share what you're thinking. Not in a preachy stance, but as human to human. And it might be the kind of thing, if you're teaching fourth graders, you say something like, "When I was nine and I was in the fourth grade, do you know what people used to believe?" Then you just, sort of, maybe, lay that out and lay it on the line. In the introduction we do take the risk of being very honest about our own childhood and how this work came about, and why we think it's important, and we're hoping that teachers will embrace that. In the introduction we offer you some opportunities to reflect on some things. We suggest that you jot some things down in a couple of places, and give yourself a chance to be open and honest with yourself. We're not asking that you share it with anybody, but in the privacy of your own reading space, open your notebook and just be honest and see where that takes you. Whether or not you share all of that with your students, you would have to decide if that's appropriate. Katie: Yeah, I always say, yes, we teach students, but we teach children and children are human beings. We're all humans, and so I think it's important for us to get on their level. To sit on the floor with the kids. That it's not about us as an authoritarian figure. It's not our classroom, as the teachers, it's their classroom. The children really need to ... their voices need to be heard. I think that making ourselves vulnerable in a way that we share our stories, and of course, yeah, we can share as much or as little that we want to share, but that's what's really going to help the children recognize that we're human beings too. I think that when we do things like that, we'll see a greater classroom community that really share common goals and understanding. Brett: As we start on this work, what if we meet some resistance outside of our classroom? How should we manage that? Lester: I'll take a cue from one of the schools that we worked with. In that school they were looking at the identity topic, and in that topic one of the books read was Morris Micklewhite and the Tangerine Dress and another book called Sparkle Boy, and a child raises the question, "Oh, that kid's transgender." I ask the administrator in that building, "Did you send out anything ahead of time to let parents know you're approaching this topic and these two books are gonna be there, and it might raise this concept or question in the heads of kids?" Her response to me was, "When you flag something like that, you suggest to the public that this should be problematic." And she said, "What we're doing is reading the spectrum of the topic. So we're looking at all types of identity, and that, across that spectrum, there are lots of human beings." She said, "One parent did come in and said, you know, I'm just curious why this is ... what are they reading? Why is this a topic in my house now?" Not upset, just curious. And she loaned him the books and he read the books, and he came back to her and said, "You know, this was helpful. This gives me a way to talk about it." I think that approach to something, rather than flagging it out as, "Okay, we're gonna read about the Holocaust. This might make you nervous. We're gonna read about refugees. This might make you nervous. We're gonna read about identity. This might make you nervous," suggests to people that you already believe that it may be crossing a line. I guess it depends on your community's norms, and you have to know your community well to know what you would decide to do. But in this case, it seemed like a most logical response and the reaction to it was to invite them. "Let me show you what they read," and it just seemed to work really well. Learn more about Reading to Make a Difference at Heinemann.com! Follow us on Instagram @heinemannpub to stay up to date on the latest books, your favorite authors, and upcoming events! Lester L. Laminack is Professor Emeritus at Western Carolina University in Cullowhee, North Carolina where he received two awards for excellence in teaching. Lester is now a full-time writer and consultant working with schools throughout the United States and abroad. He is an active member of the National Council of Teachers of English and has served three years as coeditor of the NCTE journal Primary Voices and as editor of the Children’s Book Review Department of the NCTE journal Language Arts (2003–2006). He also served as a teaching editor for the magazine Teaching K–8 and wrote the Parent Connection column (2000–2002). He is a former member of the Whole Language Umbrella Governing Board, the Governing Board and Secretary of the North Carolina Association for the Education of Young Children, and the Board of Directors for the Center for the Expansion of Language and Thinking. He served as the Basic Reading Consultant to Literacy Volunteers of America from 1987 through 2001 and is a former member of the Board of Directors of Our Children’s Place. Lester has served as editor (2017) of the Writing Department for the ILA Journal Reading Teacher. Lester's academic publications consist of several books including Learning with Zachary (Scholastic), Spelling in Use (NCTE), Volunteers Working with Young Readers (NCTE), and his contributions to The Writing Workshop: Working Through the Hard Parts (NCTE), Learning Under the Influence of Language and Literature (Heinemann), Reading Aloud Across the Curriculum (Heinemann), Climb Inside a Poem (Heinemann), Cracking Open the Author’s Craft (Scholastic), Unwrapping the Read Aloud (Scholastic), Bullying Hurts: Teaching Kindness Through Read Alouds and Guided Conversations (Heinemann), The Writing Teacher’s Troubleshooting Guide (Heinemann), and Writers ARE Readers: Flipping Reading Strategies into Writing Instruction (Heinemann). Katie is widely published in several peer-reviewed journals including The Reading Teacher, Voices from the Middle, Reading Horizons, Literacy Research and Instruction, and Journal of Digital Learning in Teacher Education. She coauthored two books: Smuggling Writing: Strategies that Get Students to Write Every Day, in Every Content Area (3–12) (Corwin) and From Pencils to Podcasts: Digital Tools to Transform K–12 Literacy Practices (Solution Tree).